Buzzard Barn is a holiday home situated in Coverack in the Cornwall Region and is 30 km from St Ives. 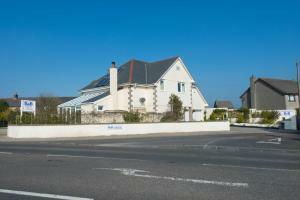 The property is 39 km from Newquay and boasts vi.. Located in Mylor Bridge, this holiday home is situated 30 km from St Ives. The unit is 27 km from Newquay. Free WiFi is provided throughout the proper..
Mallys is a holiday home set in Flushing, 30 km from St Ives. The property is 27 km from Newquay and boasts views of the garden. The kitchen is fitte..
Polwin Cottage is a holiday home set in Saint Martins Green in the Cornwall Region and is 28 km from St Ives. The property is 39 km from Newquay and b..
Set 22 km from St Ives and 32 km from Newquay, Silverspring Hideaway offers pet-friendly accommodation in Constantine. The unit is 10 km from Falmouth.. Located in the ancient harbour town of Penryn, Twycross House B&B is a two storey, detached property with free Wi-Fi access available for all guests. 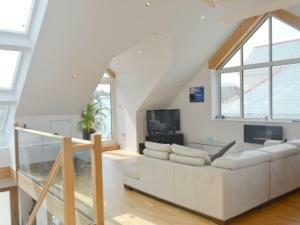 ..
Set in Saint Mawes, this holiday home is situated 200 metres from St Mawes Castle. It provides free private parking. Free WiFi is offered . The kitch.. Located in Mylor Bridge, this holiday home is set 28 km from St Ives. The unit is 26 km from Newquay. The kitchen is equipped with an oven and there ..
Old Temperance House is located in Saint Keverne, 33 km from St Ives and 40 km from Newquay. A flat-screen TV, as well as a CD player are provided. C..
Brigids Patch is a holiday home situated in Saint Mawes in the Cornwall Region and is 400 metres from St Mawes Castle. It provides free private parkin..
Five Corner Cottage is a holiday home with a garden, set in Constantine. It provides free private parking. An oven and a toaster can be found in the ..
Trevellen House is a holiday home with free WiFi throughout the property, situated in Mylor Bridge. The unit is 29 km from St Ives. A dishwasher and ..
Upper Tresulian is a holiday home with free WiFi, situated in Saint Mawes, 500 metres from St Mawes Castle. It provides free private parking. The uni.. 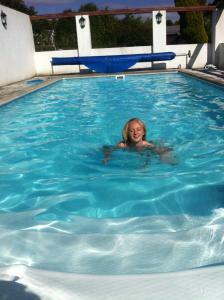 Featuring a garden, Lawithick Barn is a holiday home situated in Penryn in the Cornwall Region. The unit is 30 km from St Ives. The kitchen features ..
Cobblestones is a holiday home with free WiFi, located in Saint Mawes, 600 metres from St Mawes Castle. Guests benefit from terrace. There is a seati.. 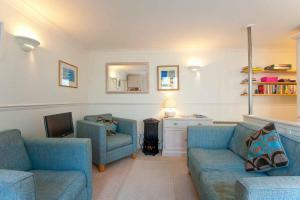 Located in Saint Mawes, this holiday home features free WiFi. The holiday home is 700 metres from St Mawes Castle. There is a seating area and a kitc.. Situated in Saint Mawes in the Cornwall Region, this holiday home is 700 metres from St Mawes Castle. The kitchen features a dishwasher, an oven and ..
Camellia Cottage is a holiday home with free WiFi throughout the property, set in Saint Mawes. The property boasts views of the sea and is 700 metres ..
Chapel Cottage is a holiday home set in Saint Mawes, 700 metres from St Mawes Castle. Free WiFi is offered throughout the property. There is a seatin..
On the pretty quay in St Mawes, where the open sea meets the Fal and Percuil rivers, this hotel offers a bar, lounge and restaurant with picturesque v..